In the past few days we were able to see on the internet the first ‘alleged’ images of a Galaxy Note 3 prototype posted by Sammobile and TechTastic. 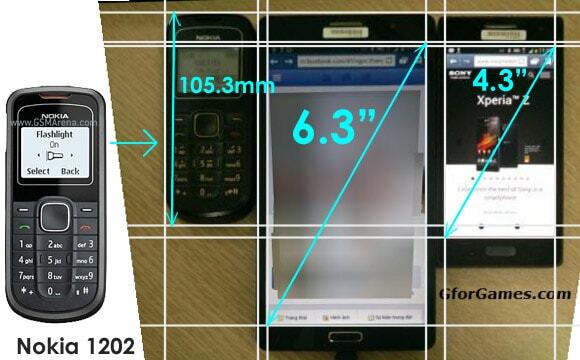 Today another photo leaked on the internet with the specification that it showcases a Note 3 prototype. As you will see in the image, the device is covered by a plastic cover that doesn’t really allow us to see the design. However what is obvious from the pictures is that the device looks a lot larger than the 5.9 inches that we are expecting the real Note 3 to be. By comparing the sizes of the Nokia with the other two devices they figured that the showcased device actually has a 6.3 inched screen, which most likely tells us it is a Samsung Galaxy Mega 6.3. The other device is probably a Galaxy S4 Mini because of the 4.3 inched screen. 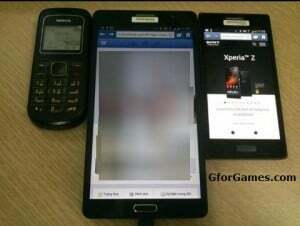 So you see, these are nothing but faked Mega 6.3 pictures that don’t even closely show us how the Note 3 will look like. Anyway, I’m actually happy that this is not the Note 3 as I am really having high expectations from Samsung with this one.